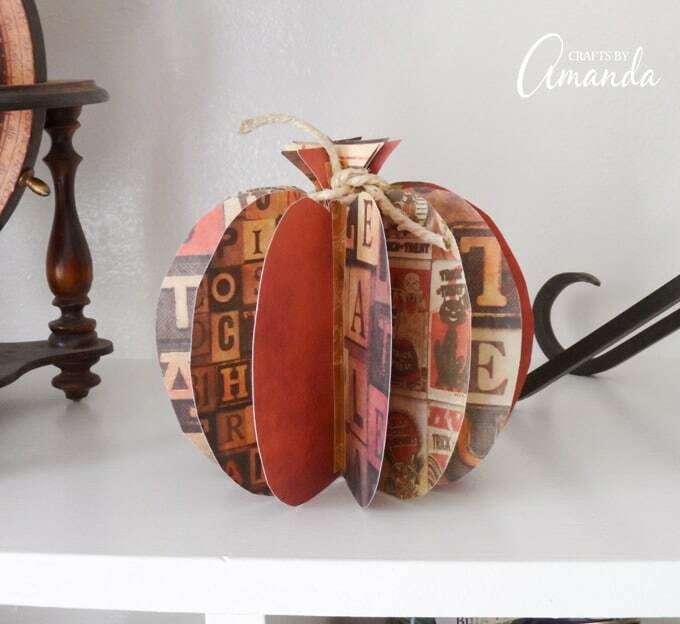 3D Paper Pumpkin: an easy fall decor craft idea to do with friends! 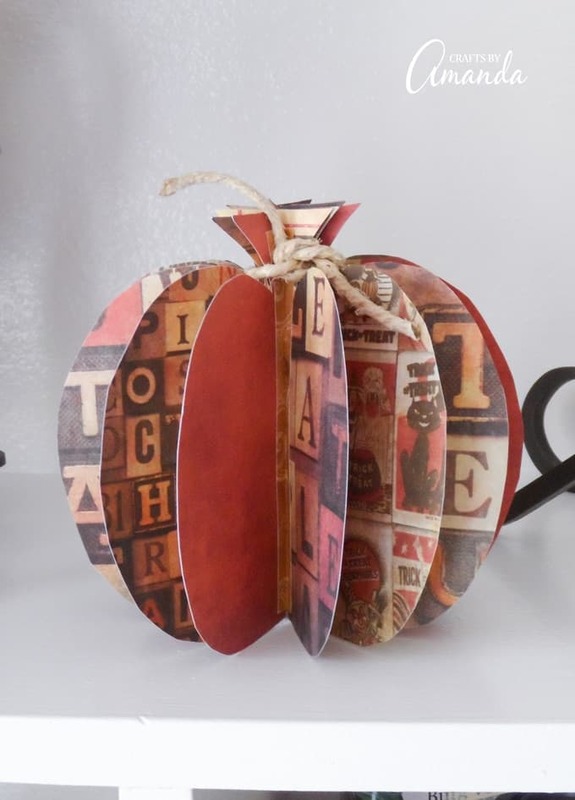 Use fall or Halloween themed cardstock to create this 3D paper pumpkin to display in your home. Add a little twine to the top and you have a simple yet festive piece of decor. Great for fall but works for Halloween or Thanksgiving as well! Add to your fall mantle or use in your Thanksgiving tablescape. It’s only been a few years that I’ve actually decorated for fall and Thanksgiving. Halloween is a different story, I’ve always decorated for that! However, now that I have visitors more than just my immediate family for Thanksgiving dinner, I like to add a few fall touches here and there. 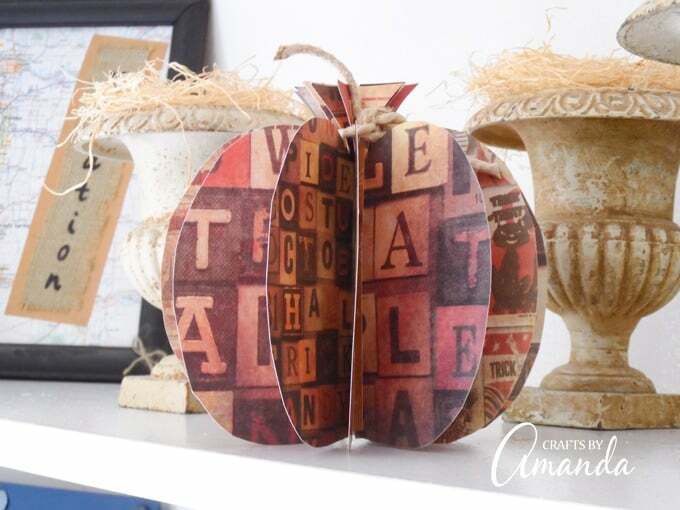 These paper pumpkins are really easy to make and they look great! They are nice and sturdy (depending on the paper you use of course) and can work for the entire fall season. If you’d like to try another easy pumpkin project, these no-sew sweater pumpkins are adorable! Cut scrapbook paper into eight 6-inch squares. You will need a total of seven squares. 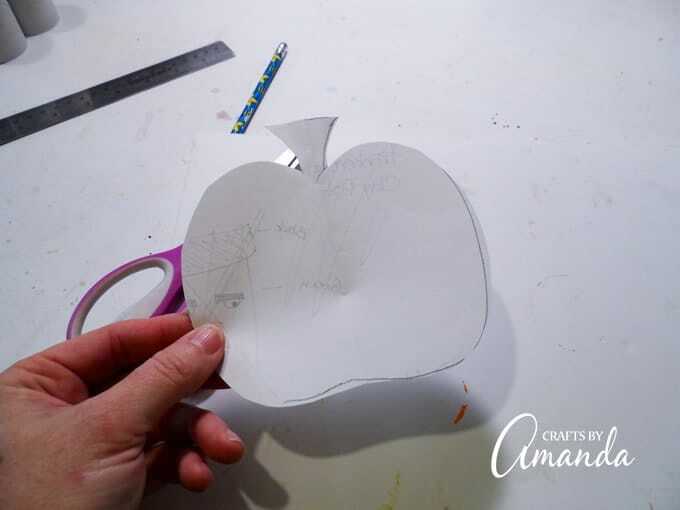 Cut a plain sheet of paper into a 6-inch square. Draw a pumpkin shape onto the paper to create a pattern. Be sure your pumpkin has a stem. 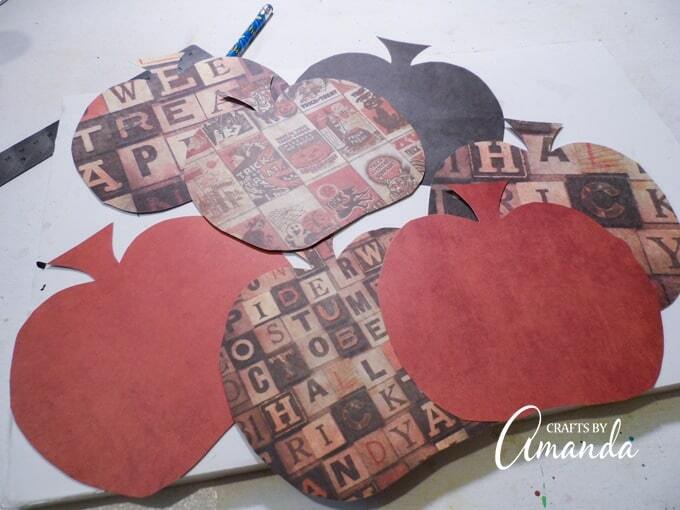 Use the pattern to cut pumpkins from each of the pieces of scrapbook paper. Fold each pumpkin in half and crease. Place two pumpkins, side by side with the creases touching each other. 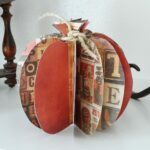 Cut the lighter weight scrapbook paper into half-inch wide strips, the height should be a little shorter than your pumpkins. 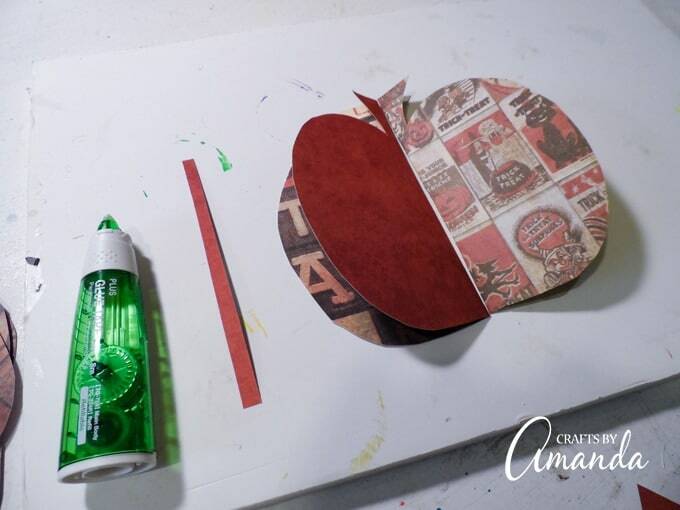 Using the glue tape to add adhesive to the back of the paper strip, then press it onto the creases of both pumpkins, joining them together. Repeat the above process until all of your pumpkins are connected together forming one pumpkin. Cut a piece of twine and tie it carefully around the stem of the 3D pumpkin. Want more fall or Halloween craft ideas? 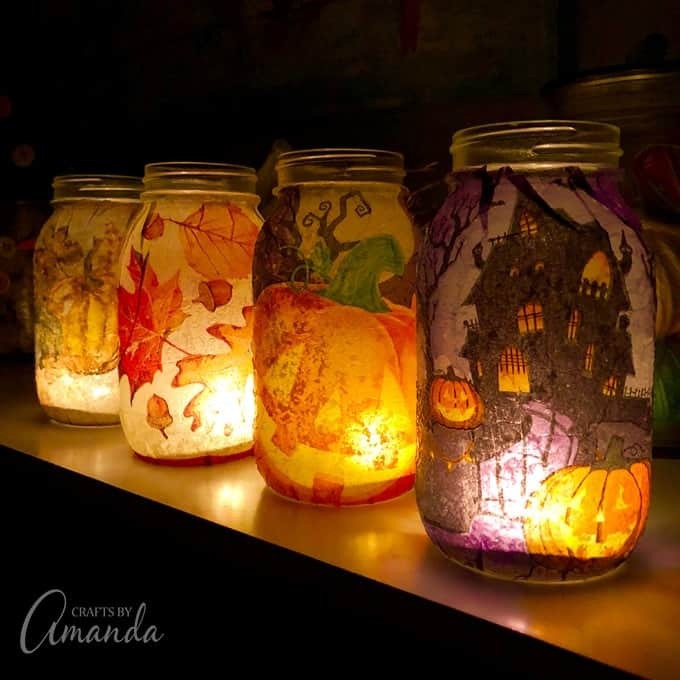 These Fall Luminaries are made from napkins and mason jars! You won’t believe how easy they are. 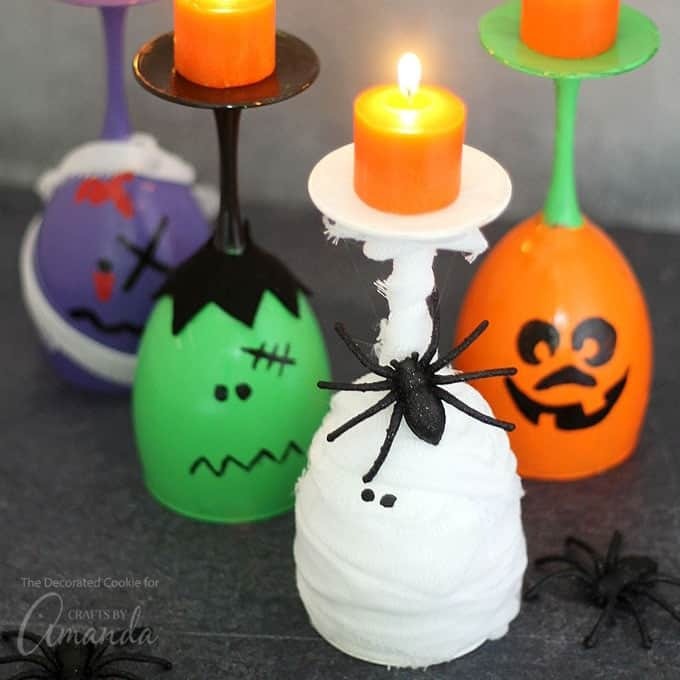 And for a more Halloween centered craft, These Halloween wine glass candles are perfect for DIY Halloween decor or for your Halloween party centerpiece or to display throughout the house. 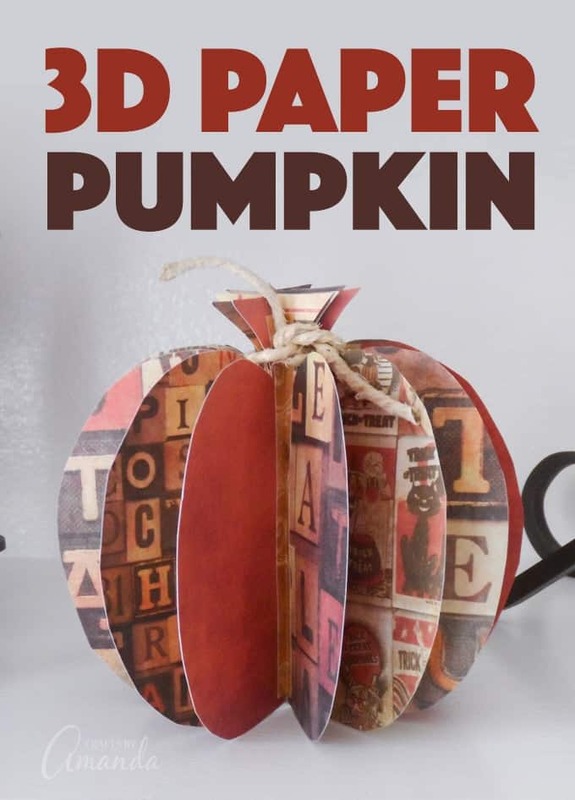 Using fall or Halloween themed cardstock you can easily create this 3D paper pumpkin to display in your home for fall or Thanksgiving! Cut scrapbook paper into seven 6-inch squares. 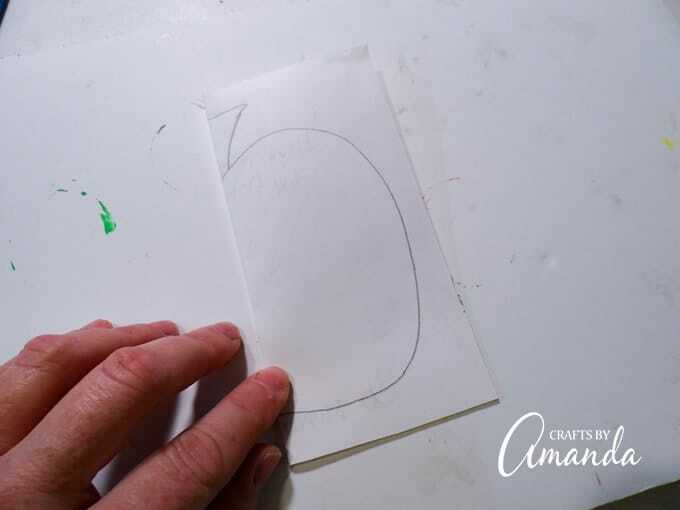 Cut a plain sheet of paper into a 6-inch square. Draw a pumpkin shape onto the paper to create a pattern. Be sure your pumpkin has a stem. Cut out the pattern. Fold each pumpkin in half and crease. Place two pumpkins, side by side with the creases touching each other. 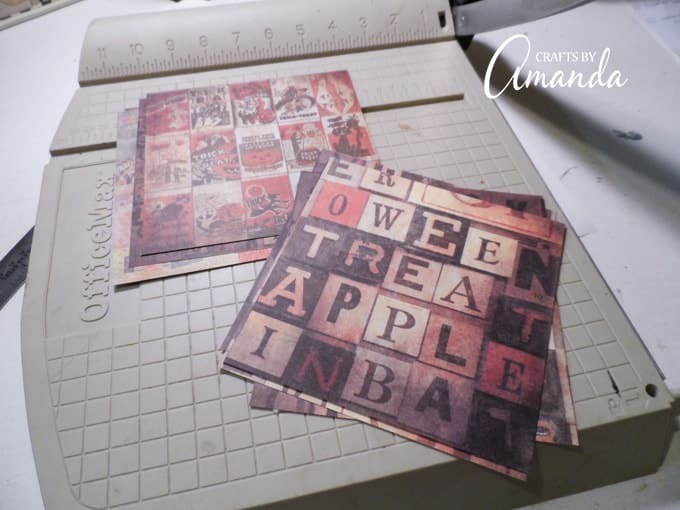 Cut the lighter weight scrapbook paper into half-inch wide strips, the height should be a little shorter than your pumpkins. 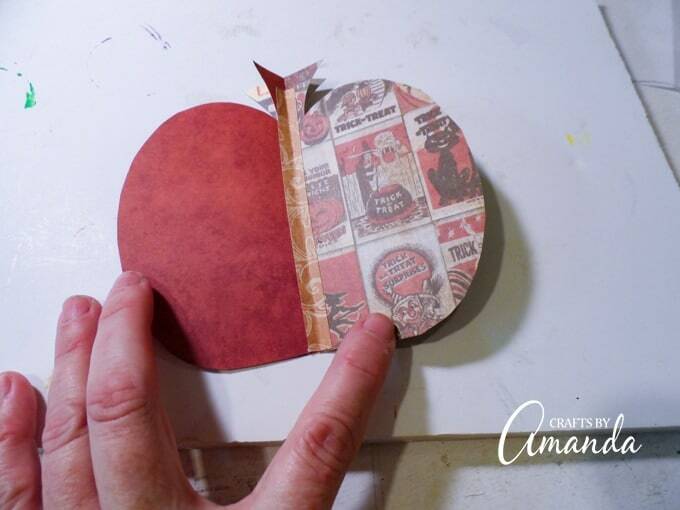 Using the glue tape to add adhesive to the back of the paper strip, then press it onto the creases of both pumpkins, joining them together. Repeat the above process until all of your pumpkins are connected together forming one pumpkin. Cut a piece of twine and tie it carefully around the stem of the 3D pumpkin. This post was originally published on this blog on Sept. 16, 2013. I absolutely LOVE this idea…will make several sizes! So cute.